Learn Self-Defense. Build Confidence. Get In Shape. These signups allow you to completely experience our programs before joining. Martial arts provides an incredible boost of physical strength, stamina, endurance, and confidence that can mold your life in ways difficult to imagine … until you step into our dojo for the first time. Babcock's Martial Arts & Kickboxing of Narragansett, Rhode Island has been providing martial arts and kickboxing classes to students of all ages and levels in a safe and comfortable environment since 1986. There’s no better time to unlock your true potential than right here, right now. 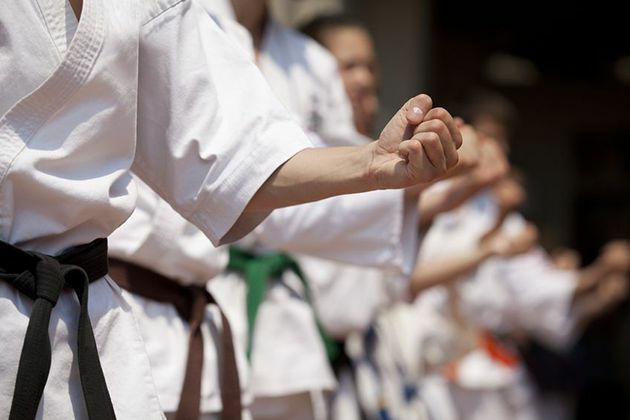 Karate or Kickboxing, our highly trained and experienced instructors will help you or your child(ren) physically and mentally prepare for whatever challenges life throws your way. Build confidence, feel great, become inspired. Get started today!